Funny sci-fi vector graphics of a mad robot. Flames and smoke coming out of the pipes in the bottom part of the metallic body, many colorful buttons and plates on the robot. UFO flying in the sky behind the alien machine. Free vector illustration for all futuristic, robotics, sci-fi and technology projects. 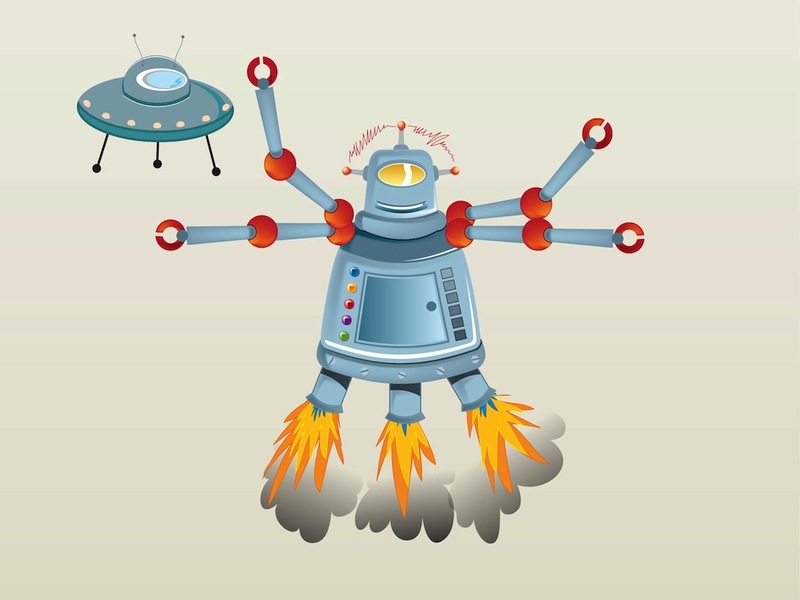 Tags: Crazy, Funny, Futuristic, Machine, Robot Vector, Spaceship, Ufo.